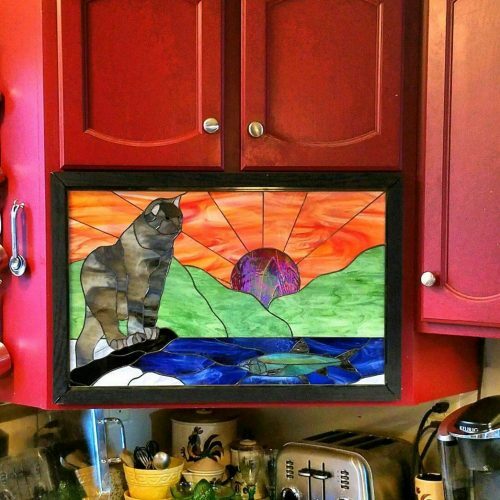 Cook up a New Look for Your Kitchen with Stained Glass! 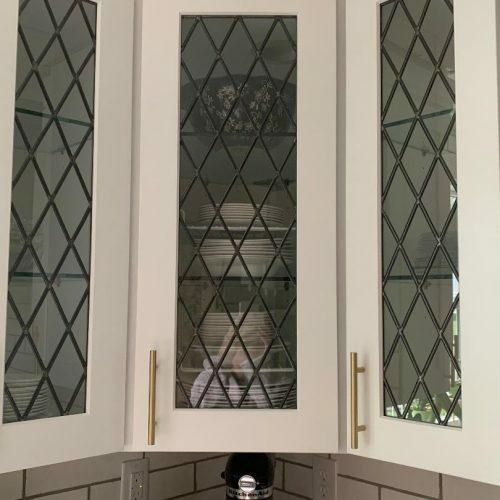 The natural light and aesthetic designs are just some of the advantages of opting glass cabinet inserts for your kitchen. 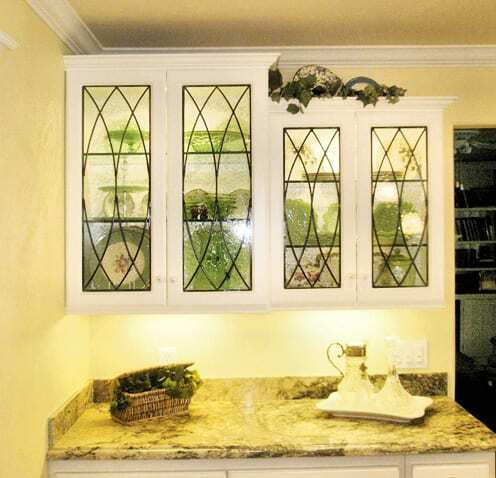 We design highly functional stained glass cabinets and kitchen accessories for you. 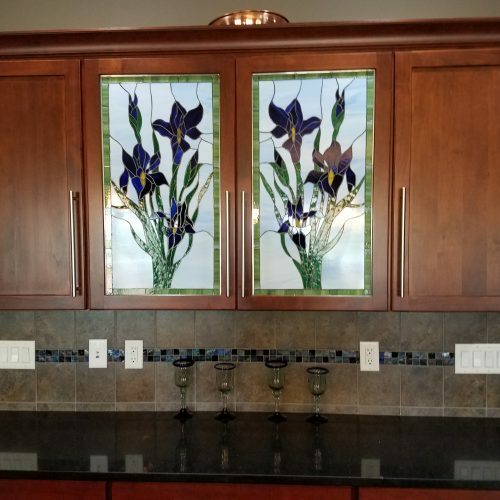 Highly skilled experts: Our experts possess close to two decades of experience designing stained glass items, which means you’re sure to end up with an aesthetic piece of art for your kitchen. Huge choice: Several stylish and trendy designs to suit your taste. With us, you’ll never be short of choices. Fit it and forget it: Easy maintenance and cleaning to preserve the “new” look of your kitchen even after several years. Cost saving: Economical solution for a kitchen upgrade as you can retain the framework. 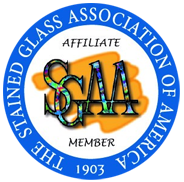 Choosing stained glass items is an intelligent idea when you want the best look for less. What use is your crystal-ware and aesthetic crockery if you can’t display it? The translucent stained glass cabinet inserts give these items a regal look as they arouse a curiosity about what lies inside. 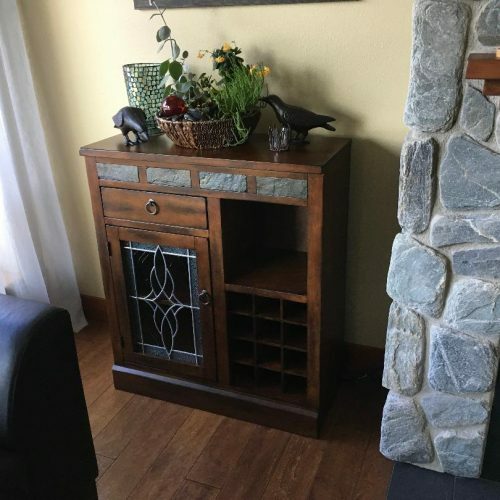 Of course, they also come handy to hide what you don’t wish to display. 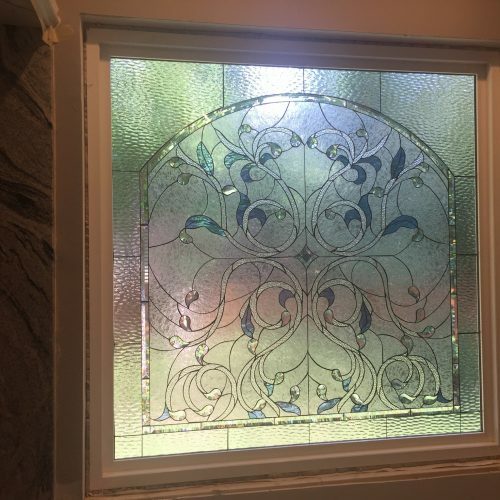 You can devise your own theme that goes well with the rest of your home – all this can be achieved through the custom stained glass options that we bring you. From a more contemporary look to the “Harry Potter” feel, it’s only your imagination that can limit the beauty of your kitchen. Windows bring personality to your kitchen walls. 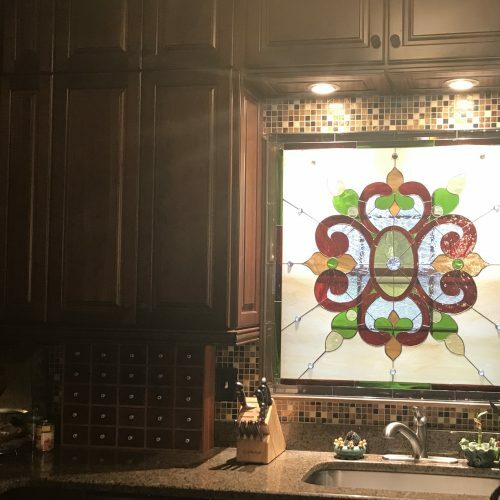 Think of unique stained glass windows with a few flowery vines engulfing them! Wouldn’t that make for a beautiful kitchen feel? Consider such creative options and, of course, the theme of your kitchen cabinets and you’ll have a beautiful kitchen in your hands. The fact that stained glass allows no visibility from outside, while allowing an abundance of light inside is an added advantage. Your kitchen needs an individual identity as much as any other space in your home. 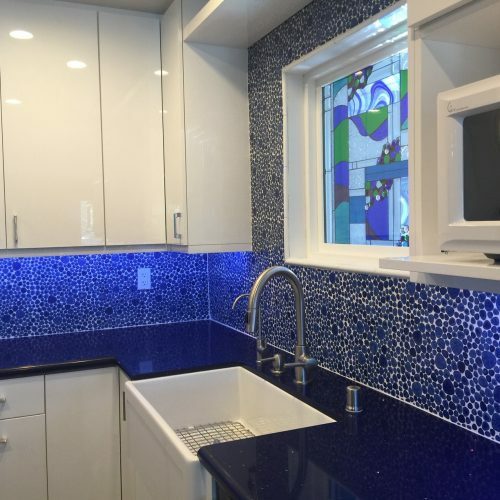 We’ve designed hundreds of kitchen décor in San Diego and beyond. You’ll always be in good hands with us. Let us know your vision and we’ll make your design a reality. 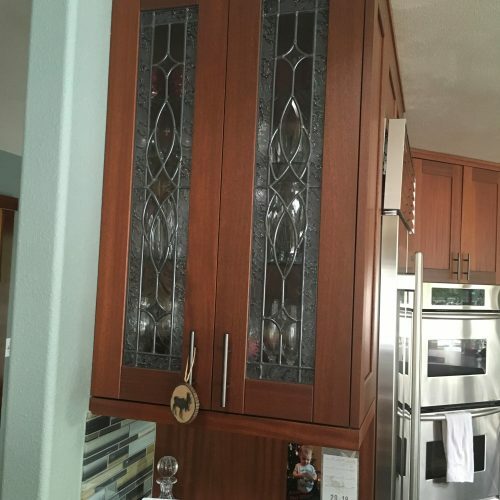 Moreover, you don’t have to redo your windows and kitchen cabinets when you have us beside you. Feel free to get in touch with us at 619-454-9702 or get a free quote.